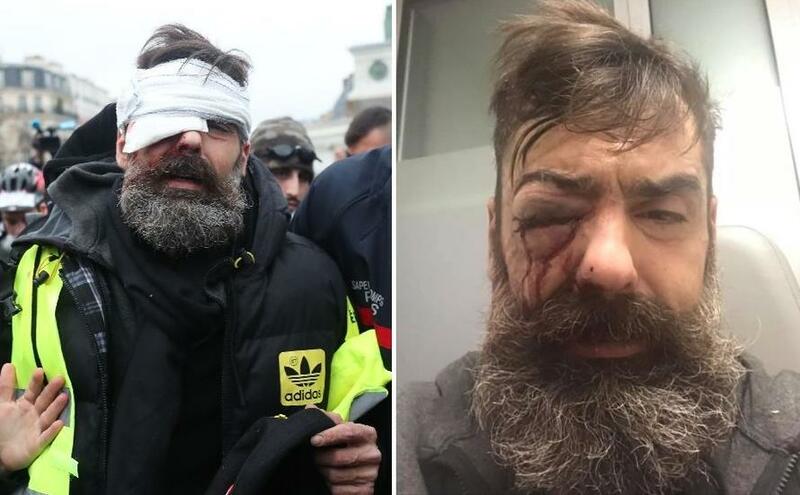 A 40-year-old French construction worker known for his role in organizing Yellow Vest protests has been "handicapped for life" after he was struck in the eye with a rubber police bullet, his attorney said Sunday. "He is in shock. He will be handicapped for life. It is a tragedy for him and his family," said Rodrigues's layer, Philippe de Veulle in an interview with BFM Television. The devices -- which are not used in most European countries -- have become deeply controversial in France since the protests began in November, blamed for dozens of serious injuries. -AFP via Yahoo! 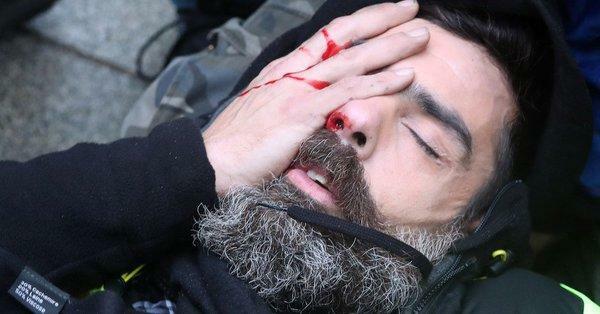 Speaking from his hospital bed, Rodrigues told LCI television that he was also hit with a stingball grenade. "Everything happened very quickly. They threw a grenade at me and I took a (rubber) bullet. I was attacked twice -- a grenade to the foot, and the bullet." In a video of the incident, Rodrigues can be heard warning protesters to leave the Bastille due to far-left "black bloc" agitators who had arrived to attack the police.